Our product range includes a wide range of forced circulation crystallizer, continuous crystallizer and batch type crystallizer. Our organization is counted amongst the most distinguished manufacturers, suppliers, and exporters of Force Circulation Crystallizer. The range we offer is designed for applications with a high rate of evaporation, scaling components, and solutions with inverted solubility. We offer these crystallizers in different capacities as these are widely used in petroleum and oil industries. 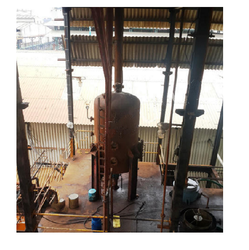 We have established ourselves as a renowned manufacturer, supplier, and exporter of high-quality Continuous Crystallizer. Manufactured using high-quality material and components, these products are extensively used in oil & petroleum industries. Clients can avail these products from us in various capacities and technical specifications. 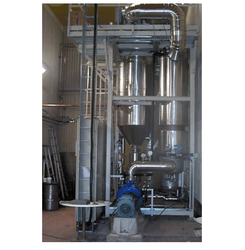 Batch Type Crystallizer also operates on the principle of adiabatic evaporation. 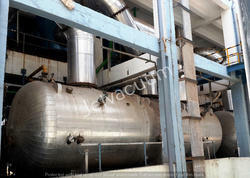 The principle of Batch Crystallization is identical to that of Continuous Vacuum Crystallizer. A fixed quantity of volume is held in the Batch Crystallizer for a defined period of time. At the end of the Batch cycle, the entire volume is taken out and processed further for filtration.